Revel in me...: Giving Ewok a run for its money. Giving Ewok a run for its money. Let me demonstrate to you just how bimbotic my train of thoughts can be sometimes. 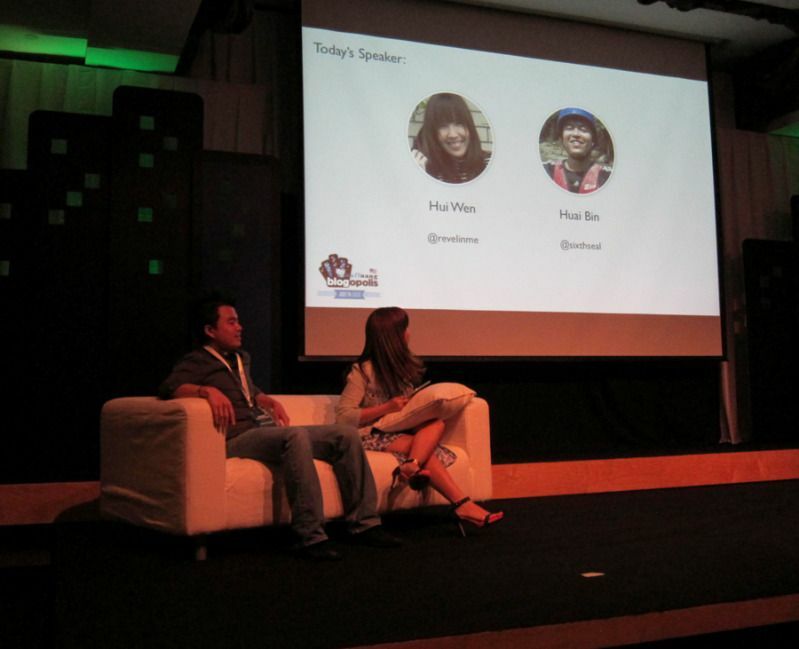 Remember this photo that I posted here about Nuffnang Blogopolis (where I was invited to be a guest speaker)? Soooo... I was admiring my hair in the guest speaker profile photo (showcased above) WTF and suddenly remembered that I have yet to blog about the outfit I was wearing! And that is how this blogpost came about. Sometimes I am so shallow that I want to smack myself. But I tell myself it's endearing. Really. Anyway, this is not any outfit! Jing told me that Air Asia have promo tickets going to Tokyo next year for RM700++, and I am so tempted! Sensuous outfit pose failed 'cause someone made me laugh midway. Carrying a pet animal WTF. Love love love my skirt! It looks quite proper from the front, and tada, when you turn around, there's a little surprise waiting for you! 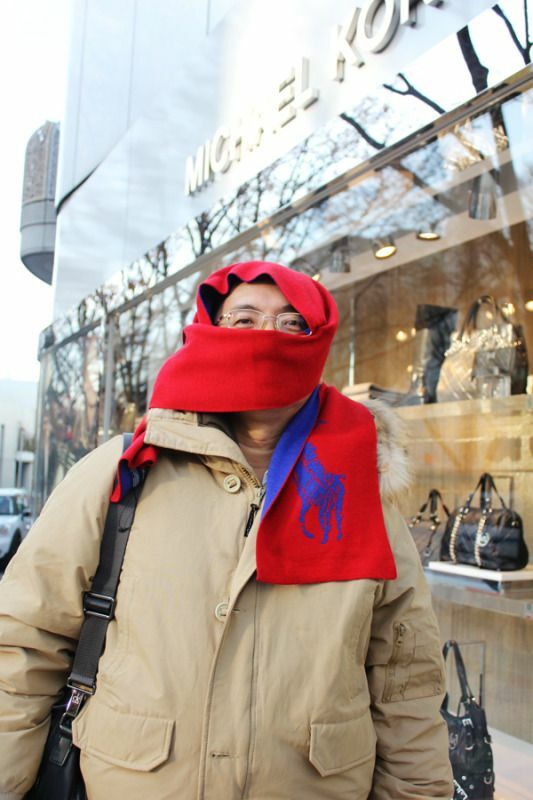 I can only tell him that it was really cold, and each of the Hoe family members has their own way to combat the cold. For instance, this is my dad. 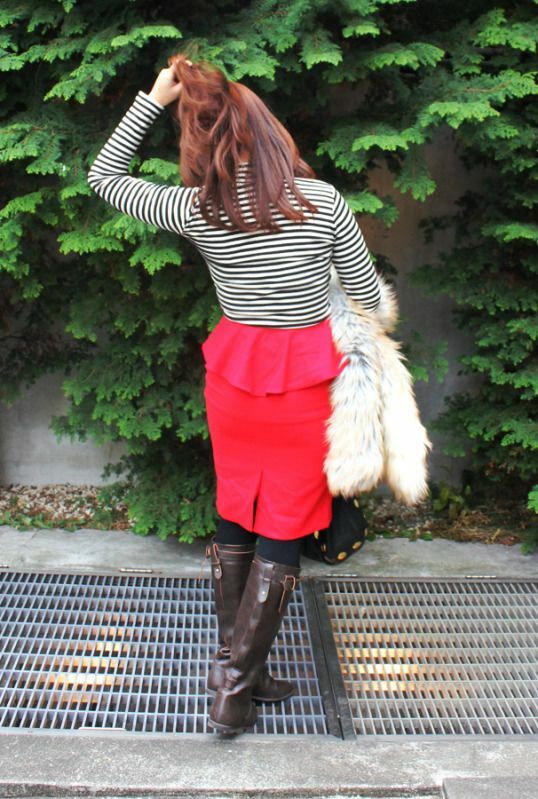 your peplum skirt is so beautiful!